The Amoena PurFit Adjustable Breast Enhancer provides shape and symmetry during the tissue expansion process after breast reconstruction. During this transitional period, the PurFit enhancer system can be adjusted by simply adding or removing the fiberfill located behind the form. The front of the form is a lightweight silicone to simulate the look and feel of a natural breast. This silicone material will quickly warm to the body's temperature and allow for optimal all-day comfort. The form is enveloped in a soft fabric cover shell that's breathable to provide a comfortable and hygienic environment. It has a built-in pocket on the back to add the desired amount of fiberfill allowing easy access to expand or reduce volume. It's hygienic and gentle to scar tissue. Patients should keep the PurFit Enhancer clean by following the care and cleaning instructions below. PurFit Adjustable Breast Enhancer is easy to assemble. In the early phases of tissue expansion, a woman may have one side in need of volume in order to symmetrically match the other breast. The fiberfill, provided in an easy carrying bag, is added into the back pocket of the PurFit enhancer to provide more volume. The silicone form inside provides a natural shape and completely fills the bra cup. This leaves the patient feeling secure and confident with a symmetrical feminine silhouette throughout the expansion process. After removing the fiberfill and silicone insert, the Amoena PurFit Adjustable Enhancer should be hand washed with a gentle and mild detergent, then laid flat to dry. The silicone shell should be cleaned using the general cleaning instructions for breast forms as mentioned below. Amoena recommends daily cleaning of the form to ensure symmetry shapers remain in good condition. Breast forms should be cleaned with a gentle soap, such as the Amoena Soft Cleanser and lukewarm water. The form can be dried with a soft cloth or towel. 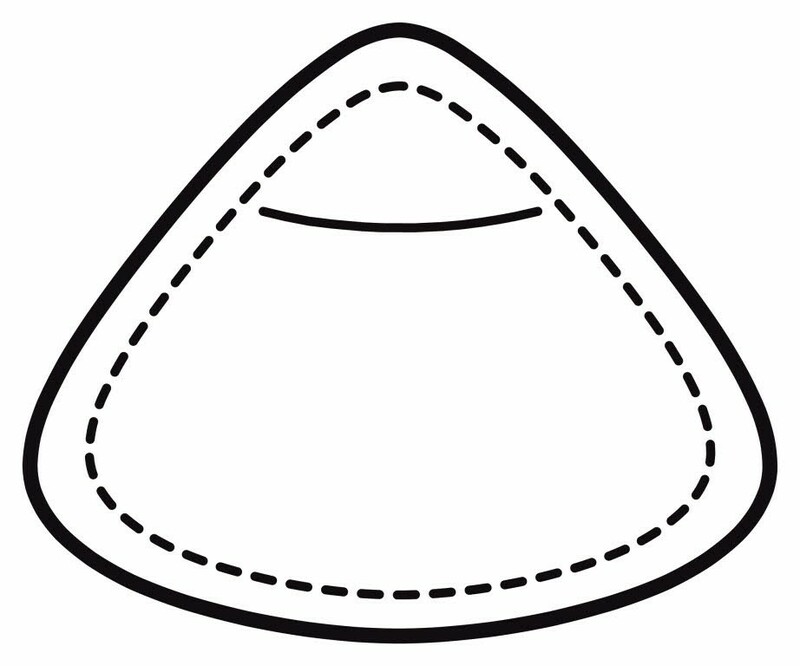 Place breast form in the cradle provided in the soft carrying case or breast form box. Always refer to the care instructions listed in the specific product packaging for full details. Maybe because I'm petite (5'0"), it seems too big to fit in my bras. I'm wearing it in a sports bra and UPSIDE DOWN with the triangle point tucked under the bra's elastic. Nobody can tell from the outside and I love how it can be stuffed to size since I'll be getting my expander implant inflated partially next week. So I can gradually take out some of the stuffing.